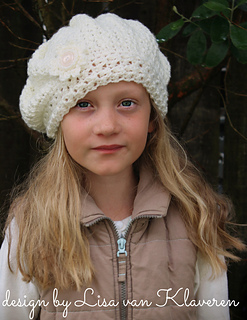 This beret-style hat is worked flat, from the bottom up and is made-to-measure (using the size chart provided (or your own custom measurements). 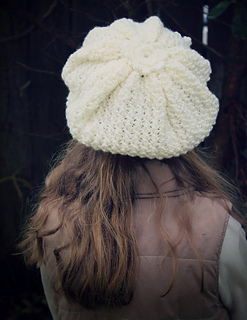 The design features a simple cabled band and a beautifully soft, textured hat body. You’ll also need a medium button of choice and needle & thread.